7 Habits To Help You Rock Your Business & Home! Just 7 habits have helped me rock my business and my home like it's 1999! Let me begin by saying successful businesses are not built overnight and neither are homes. I can state this from first hand experience. They require a tremendous amount of work, sacrifice, and dedication—consider all of the work that went into building any great empire. Now, imagine the joy you’d feel from building your own empire, from the ground up. If you observe the principles of those who’ve built a successful business, what key tips might you compile and translate for yourself? Those key tips might very well lead you to your successful habits. When we started our family in 1997, we looked at it as a legacy and built our family like a business. When we began our business in 2010, it was an easy transition to rock our business because we had that foundation as a family. Were we perfect? NO WAY! Did we do our best? Absolutely--- we found the art of being imperfectly perfect right where we found ourselves, taking it one day at a time. If you want successful change badly enough, you’ve gotta start somewhere. Be focused and driven, passionate and know the reason you started in the first place. Being open to guidance, whether it is hands-on or from tools gathered along the way, you really will rock your LIFE like it’s 1999! Like a ladder to the top, this is where you can consider beginning your story. You know your legacy. 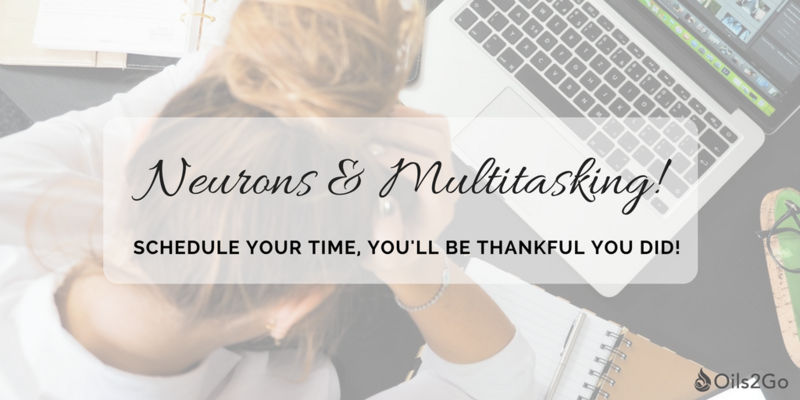 Did you know there’s no such thing as multitasking? Contrary to popular belief, it doesn't really exist in the functioning of the human brain. A perfect example is texting and driving. You know how dangerous that is, yet how many people still do it? As your neurons fire, while you engage in a task, switching gears sends the neurons scrambling to catch up with the information it missed in between. By the time your brain switches gears, you’ve slammed into the car in front of you. Focus all of your attention on completing one task before you move onto the next. Trust me, I know about this. It used to be one of my favorite things to do, I did it for years and I didn't feel I was being productive unless I was spinning A LOT OF PLATES AT ONCE. However, I have since learned that it does not pay off when it comes to the long-term benefit of your mind and body. 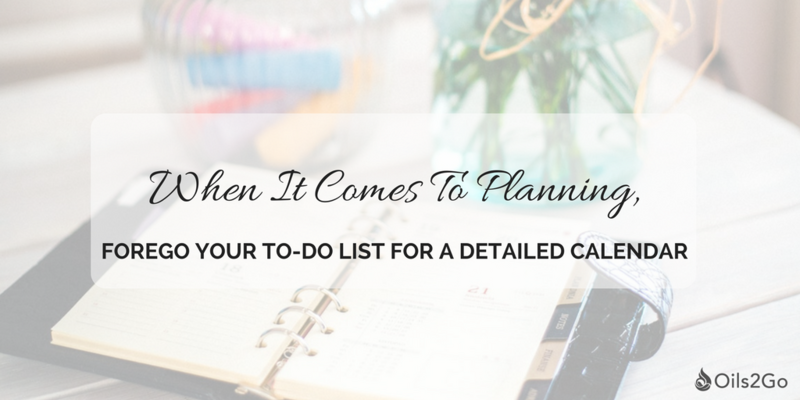 As it turns out, you’re only likely to complete roughly 40 percent of what’s on your to-do list, making this tactic not very efficient. Lists also lead to the Zeigarnik effect, which hypothesizes you’re more likely to forget the details of a completed task over one that’s hanging over your head. The catch is the stress and anxiety that come with uncompleted tasks. The answer? Using a detailed calendar to time block moments or ‘minute by minute’, then live from that calendar. Honest, this is how I manage my life. Strict, yet simple scheduling that is flexible. A statement I have in my Passion Planner-- “Create Your Goals in Concrete and Your Plans In Sand!” As a recovering perfectionist, doTERRA’s Serenity blend has played a big role in overcoming this plaguing characteristic I have. I apply it in a diffuser (5 drops Serenity and 5 drops Wild Orange) in the morning when I have chaos getting the kids out the door to school, as an example. This has helped me become way more flexible, too. Having more children certainly helped, but this essential oil was a secret ninja. Yes, breakfast is still the most important meal of the day. 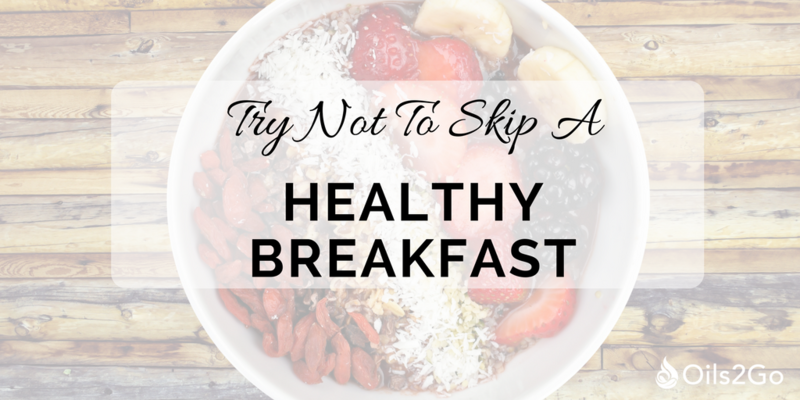 Without a balanced breakfast, you’re likely to experience cognitive difficulties, like an inability to concentrate and recall information, in addition to a probability of encountering weight issues. Wake up early to ensure you have time to eat a plate of complex carbs, lean protein, and essential fats. Your brain and waistline will thank you. Even if you are fasting intermittently with 12 hours in between dinner and your next meal, make what you eat good for you and your mind. I went to a presentation with Sir Richard Branson a few years ago. One thing that struck me was the fact that he always keeps a notebook with him to write down all of his ideas. Try it! 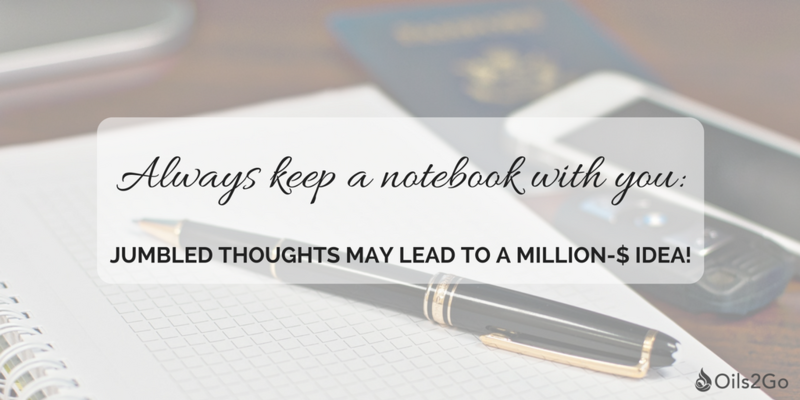 It helps me keep my jumbled thoughts in one space and you never know when that ONE idea may strike gold. Teamwork is a necessary successful habit. Where you may be a novice to a topic, someone else will be an expert. By delegating tasks based on the strengths of your employees, you’ll be running a well-oiled machine. 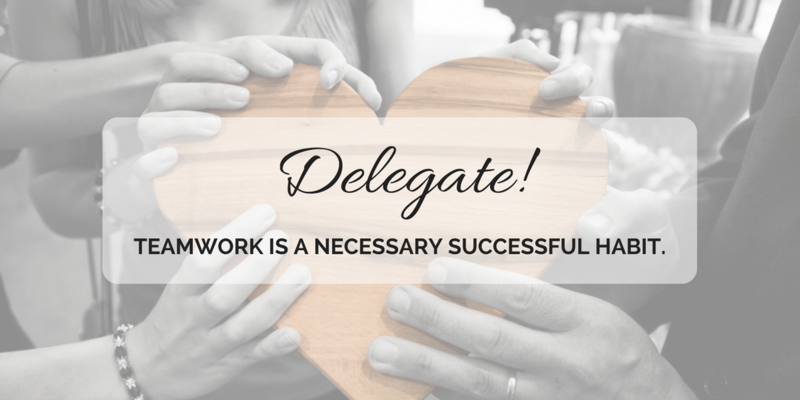 I have come to find that delegating allows people a sense of control over their work, which has been shown to boost productivity. There's even an oil to help to prepare your mind to delegate, here are a few that you can diffuse. I love the art of tidying up. Try implementing the “touch it once” rule, meaning you open the email, deal with it now, then move on. I learned this system 19 years ago when my 2nd oldest was born. I went to my girlfriends' house to watch her kids. They lived in Japan for years and she taught me the origami style of folding clothes like an envelope. I was able to keep the clothing for 3 children in 1 dresser for 10 years - it was incredible! This led to many more events of tidying up. 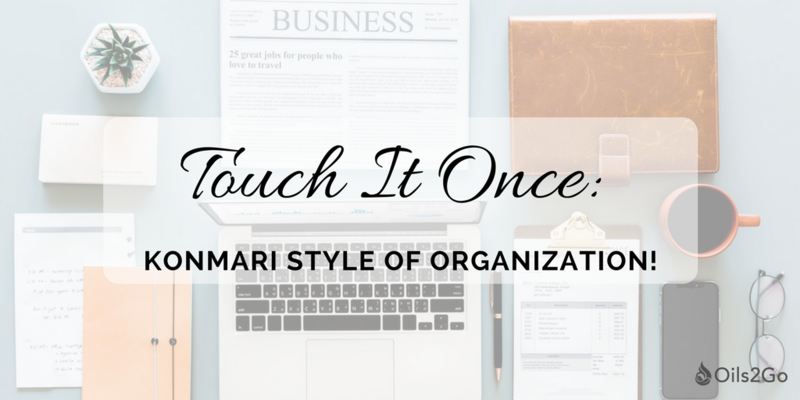 I am an organizational freak! It truly keeps me sane to see it once, chuck it or file it right where it goes. From all that mail, to toys in a bucket - give it a shot. Your path to success is going to be different than someone else’s, just as the way you perceive the world is different than the way I do. That’s the beauty of business, there’s no one right way to succeed. There are many different routes and some have yet to be explored, untouched, possibly waiting for you to be the first! Be the pioneer to innovate new ideas, be confident in your decisions, but open to change when you’ve made a mistake. There’s room for everyone to succeed. You just have to be willing to put in the elbow grease. 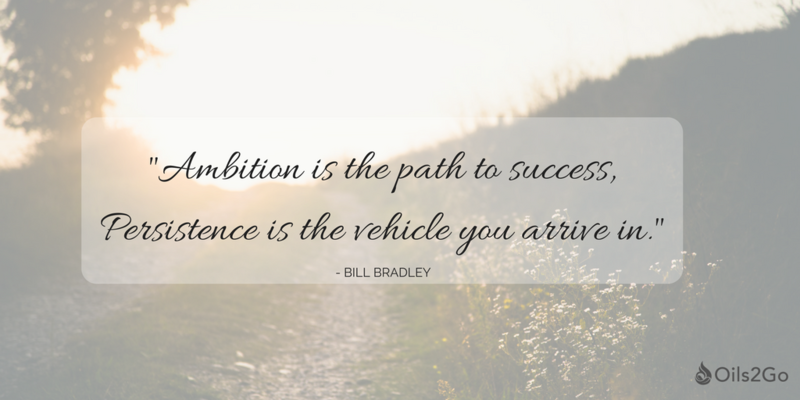 What habits do you currently see success in? Which ones are you going to try starting today?